We try to take care of our customers the best way we can. We’ve built our reputation on product and industry knowledge, performance satisfaction and superior logistics. 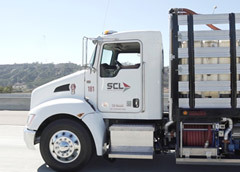 SCL is a family-run business that has been dedicated to providing quality petroleum based products to customers while forming lasting relationships in all industry segments. 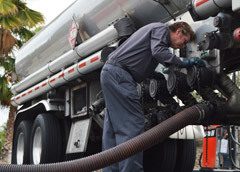 In 1998, Richard Becktel partnered with Frank Paul Greinke to develop a strategic business model focusing on the Southern California wholesale lubricant market. As the company grew so did its geographic footprint. Richard and his team sought to expand both the organizations product offerings and services all the while remaining true to their family-run and operated commitment. Since then, SCL has grown to become the market’s leading distribution and logistics company. Our customers throughout California, many of whom have been with us since our infancy, represent a wide variety of industry sectors, ranging from automotive to aviation, transportation, construction and manufacturing. We protect and optimize the machines that keep our country moving. One of our many sources of pride lies in building long term relationships with our customers, achieving this in part by always following through on what we say we will do. Our customers depend on us, and we want to keep it that way and through the principles of reliability, transparency, safety, teamwork, confidence and the bold capacity to lead customers and the industry at large, we know we will share in our customers' success. As SCL looks to the future, we are committed to maintaining the boundless enthusiasm and passion inherent within a family-run business that is fueled by loyalty and the relentless pursuit of product knowledge. We do, however, recognize the need to be more than a great distribution company to our customers. Our goal is to continue to advance the consultative arm of our business, which allows us to look at the entire picture of a company, identify any inefficiencies or deficiencies, and improve those processes with our knowledge and vast network and resources. Customers depend on us, and we want to honor our commitment to them with a long term view of their success. Our commitment goes beyond simply meeting environmental regulations. Throughout our company’s history, we’ve witnessed the rise of government-led environmental regulations. We’ve not only embraced those new standards, we’ve used them as inspiration to go above and beyond within the walls of our own facilities. We are committed to leading a green lifestyle, and we encourage the same among our customers. 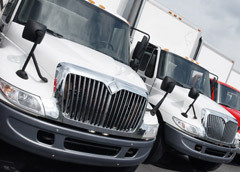 We coordinate deliveries to your facility, and even work to ensure re-ordering occurs when it needs to so that you can concentrate on the everyday demands of your business. Our experts work with you on creating a preventable maintenance plan so you can get the most out of each service and extend the life of your machines without sacrificing performance. If your company is just getting started or you’re extending your service offerings, our experts can help get the equipment that you need so you can get to work building a customer base right away.